It’s fair to say I’m a fan of Australian skincare brand Aesop. 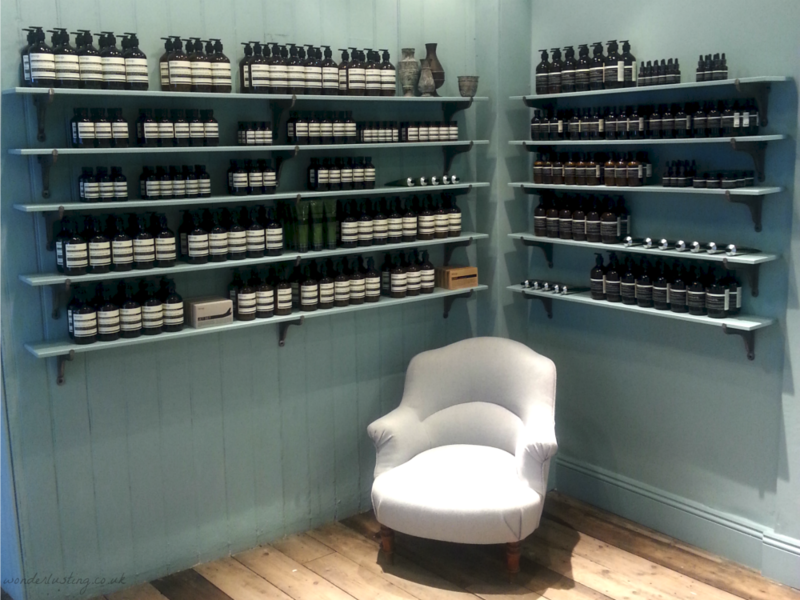 I love the effective unisex products, I love the lack of hyperbole and outrageous claims, I love knowing that no superfluous fillers, synthetics or additives have been added, I love the apothecary packaging which serves a preservative purpose apart from just looking cool. The in-store staff are always helpful and non-hassley. So when I was invited to check out the newest Aesop store that has just opened in Richmond, I believe “hell yeah”, was my response. 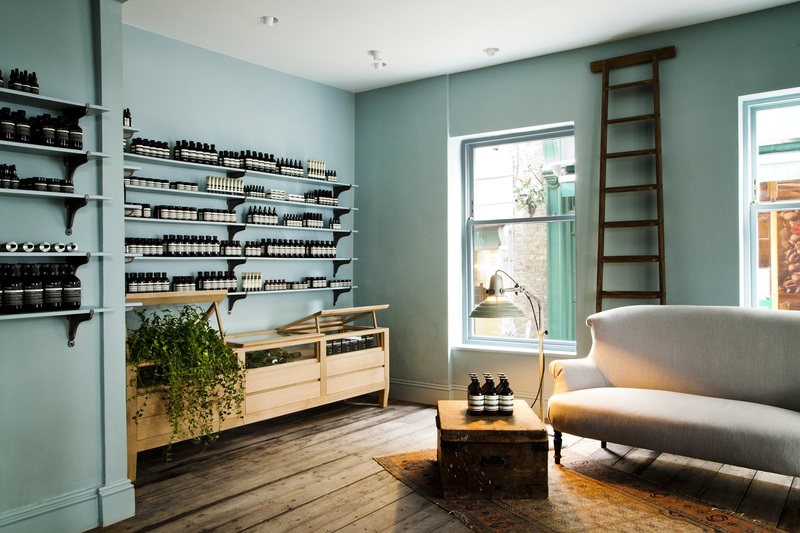 The new store, spread over three floors, is the largest Aesop in Europe and will soon be the first outside Australia to offer spa treatments. Leafy and river-y, Richmond upon Thames is quite Yummy Mummy territory and the interior reflects that. In terms of interior design, Aesop do not do cookie cutter. Every single store is different referencing the surrounding locale. The stores are always beautiful spaces with statement fittings and a “look but don’t touch” vibe. They are not spaces I would generally describe as “cosy”, until now….. 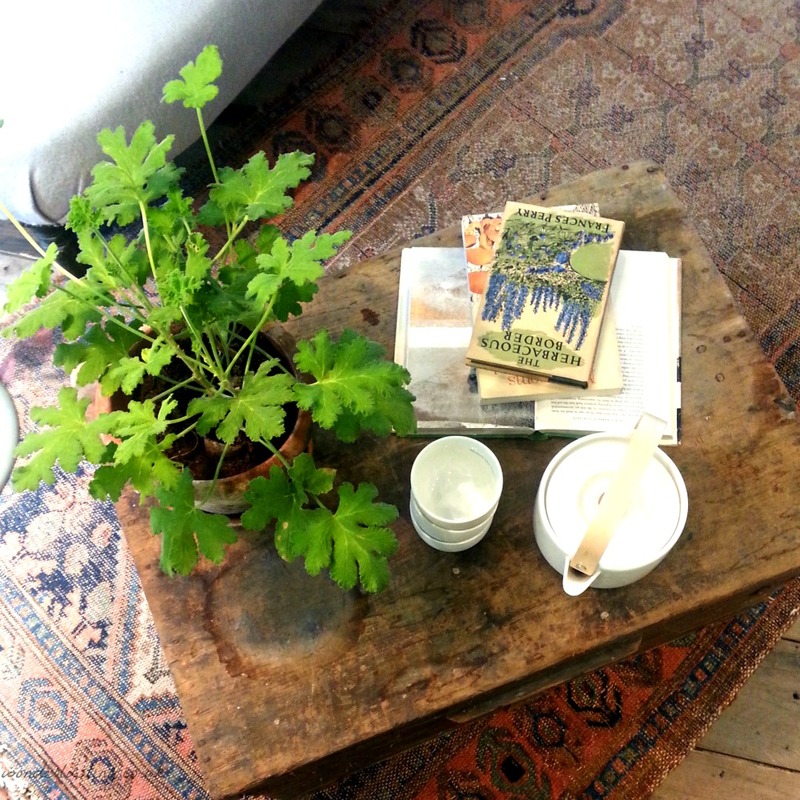 Raw wooden floorboards, calming Sanderson blue paint on the walls, rugs. 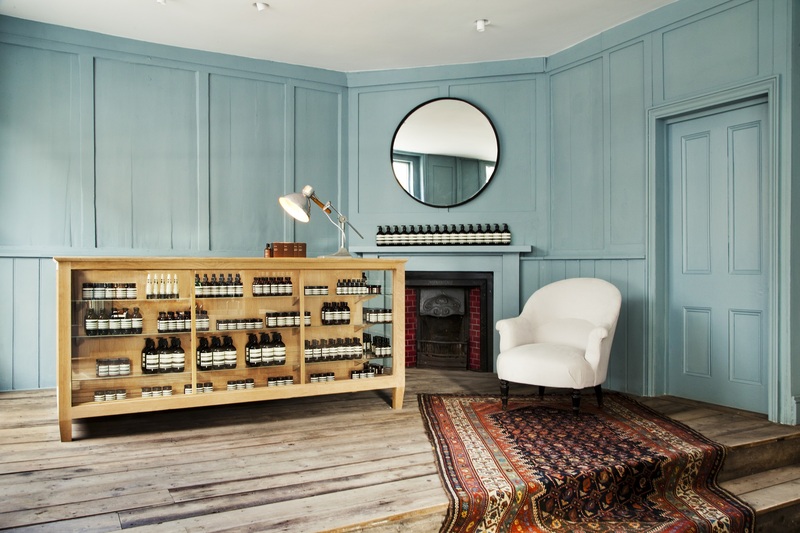 The Aesop Richmond space is warm, inviting, calming, somewhere you can imagine nestling down to drink tea. Almost feels like a home (in my dreams). Of course, there is the usual open space and perfectly-aligned product display on shelves. The in-house design team have stripped the Georgian building back to reveal and restore original features. The stunning sink, found at a local market, was originally a fishmonger’s used for the not-so-glamorous task of descaling fish. This must be what all sinks pray for in their afterlife. The ground floor is the store, the second floor will be used to host pop-up events and the third floor will be used for treatment rooms. 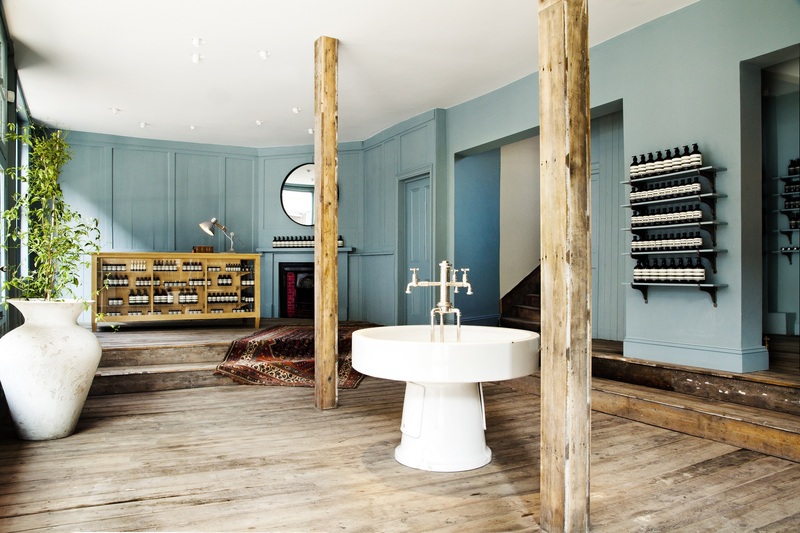 Aesop is keen to be part of the local community and plans to host pop-up events on the second floor. The building’s previous occupants, was the much loved children’s bookshop, Lion and Unicorn, which was opened by Roald Dahl in 1977 and had been there for 35 years until rent rises forced it to shut up shop. Aesop are planning to host children’s book readings with the bookshop owner, which is a nice nod to the building’s heritage. Over on instagram.com I often rave about the Aesop products I’m using but I’ve just realised that I haven’t done any reviews here so keep an eye out. Certainly looks and sounds like my kinda place. I look forward to your review. I’ve seen the shop in Covent Garden but I was in a rush and could not pop in. It’s worth going into a store if you have the chance – the staff are always really helpful and give samples.